PJ Library® provides a free gift of a high-quality, age-appropriate Jewish book or CD mailed to the home every month. This cutting-edge program created by the Harold Grinspoon Foundation offers families raising Jewish children the gift of Jewish literacy and opportunities to celebrate Jewish values, tradition and culture. Sign up for PJ Library Now. The Jewish Federation of Raleigh-Cary is proud to present PJ Library in Raleigh, Morrisville, Cary, Apex, Holly Springs, Garner, Wake Forest, Knightsdale, Rolesville and Clayton. PJ Library is for families with children ages 6 months to 8 years. Contact Tina Schultz at tina.schultz@shalomraleigh.org or 919-676-2200 ext. 128 for more information. ‘Like’ our PJ Library Facebook page to get news of PJ Library programs in the community. PJ Little Free Library is a “take a book, return a book” free book exchange, and will be located in 10-20 locations (near benches) on the campus. PJ Little Free Library book exchanges have a unique, personal touch. 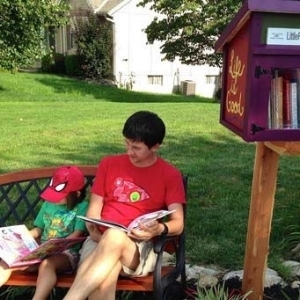 Geared towards young families, each PJ Little Free Library will be assembled and stocks with free books. Pop ups are everywhere. Enjoy free ice pops, pretzels, juice boxes and story time at the Cary Splash Pad, Apex Wednesday Wine Pop Up, PJ Bowling Funday Sunday, Ice Cream, Bubbles & Stories Pop Up, Let's Go to the Farm Pop Up, and Thank you Bubbe & Zayde Tea Party. Pop in to a PJ Pop Up. 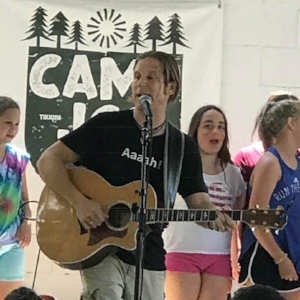 Our connectors are building authentic relationships, creating new, barrier-free Jewish experiences, and expanding communities in Cary-Apex and Wake Forest. Join us for coffee meetings and small gatherings where you can talk and connect. We are also grateful to the additional donors who have helped make PJ available in our community.